Another Plug? : Reform worship. 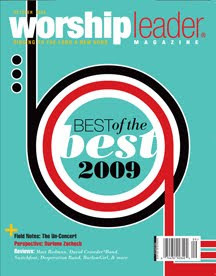 Regarding Robb Redman's article "The Mediation of Christ in Worship" being front and center in the recent issue, thank you, thank you, thank you! I can't tell you how encouraged I am to see the contemporary worship conversation moving in this direction. This is, IMHO, the most important truth for worship leaders and all Christians to understand if we are going to see a renewal of true worship in the Church today.